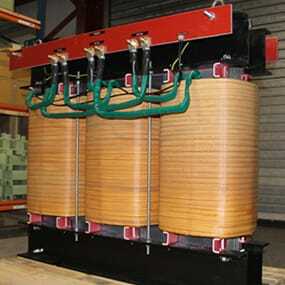 Three-phase Industrial Transformers designed and manufactured to comply with IEC61558 and IEC60076. 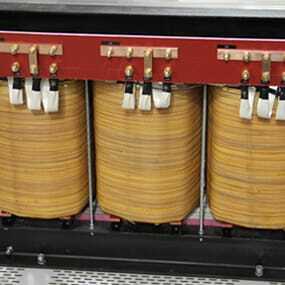 These are double-wound Isolation Transformers for continuous duty and complete with earth screen between the primary and secondary windings. Din Rail mounted, Stud or Copper Bus bar according to the current level. Earth Screen between Primary and Secondary Windings with cable brought out and bonded to the Core and all Steel Metalwork.